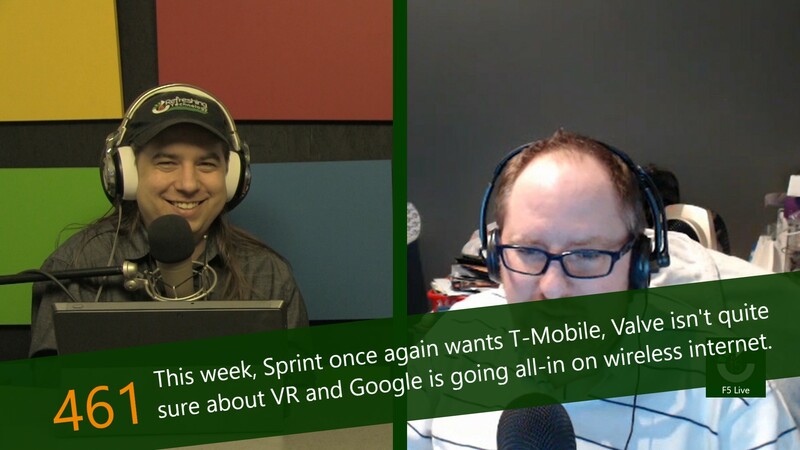 This week, Sprint once again wants T-Mobile, Valve isn't quite sure about VR and Google is going all-in on wireless internet. Over the past 7 years, one of the stories that just won't die is the possible partnership between T-Mobile and Sprint. In 2010, T-Mobile considered a technology switch, from their existing GSM platform to WiMAX for 4G. They were in talks with Clearwire, the company that was partially-owned by Sprint, and provided Sprint's WiMAX network. At the time, it was suggested that the move would have been intended to make it easier for Sprint and T-Mobile to become one network. In 2013, after acquiring Sprint, SoftBank opened discussions for T-Mobile. Right now, for better or worse, the majority of the tech industry is focused on, and excited about, virtual reality. Even our CES coverage couldn't avoid it this year. With that said, one of the companies who should be the most optimistic about the technology is taking a decidedly different, and characteristically unusual, approach: Valve. The future of Google Fiber has been in question for about 6 months. In August of last year, the company began the process of scaling down their operations, followed nearly immediately by pausing new rollouts entirely in October. This week, Alphabet is transitioning hundreds of employees from Access, the division responsible for Google Fiber, to other areas within the company. If you don't know who PewDiePie is, that is alright. Felix Arvid Ulf Kjellberg is a YouTube star, whose channel has the largest subscriber count at 53 million subscribers and generated him an estimated $15 million in 2016. He has managed to accomplish this by consistently being surprising. He started off as a gaming channel and later began to fancy himself a comedian, and the content began to change.